The Wexford TD believes Shatter’s revealing of an encounter with Gardaí is an improper disclosure of sensitive records. 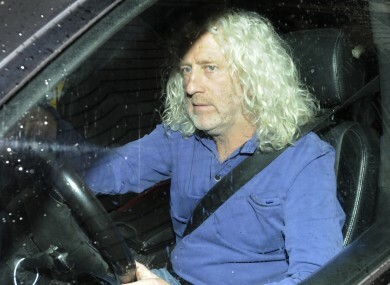 INDEPENDENT TD Mick Wallace has today lodged a formal complaint with the country’s chief data watchdog over the behaviour of justice minister Alan Shatter. Wallace has asked the Data Protection Commissioner to investigate Shatter’s public disclosure of an incident where Wallace was stopped by Gardaí for using a mobile phone while driving. Details of the incident were not in the public domain until Shatter mentioned them on last Thursday night’s Prime Time. Wallace, at the time, said he had no recollection of the incident – and while he says he can now recall it, he was not issued with a fixed charge penalty points notice, and he had not acted illegally. Shatter today defended his remarks, saying he only mentioned the incident because Wallace was a public personality – and said he had only been informed of the incident in passing during a general briefing on the subject of Garda discretion. However, Wallace believes the manner in which the incident became public means Shatter made inappropriate use of the information he had been given on a privileged basis. This evening the Data Protection Commissioner, Billy Hawkes, confirmed he had received a complaint from Wallace about the way in which the incident was made public. In remarks broadcast by RTÉ, Hawkes said it was “incumbent upon all persons in the public – whether they are ministers or public servants – to be extremely careful about personal data that they hold, and not to disclose it other than with the consent of the person”. A separate complaint is likely to be made to the Standards in Public Office Commission in the coming days, with that body investigating whether Shatter breached the code of conduct for public office holders by exploiting information gained in the course of his ministerial duty. Poll: Should Alan Shatter have made his Prime Time comments? Email “Wallace lodges complaint with data protection chief over Shatter remarks”. Feedback on “Wallace lodges complaint with data protection chief over Shatter remarks”.